We will see how to format chat titles in Excel in this topic. 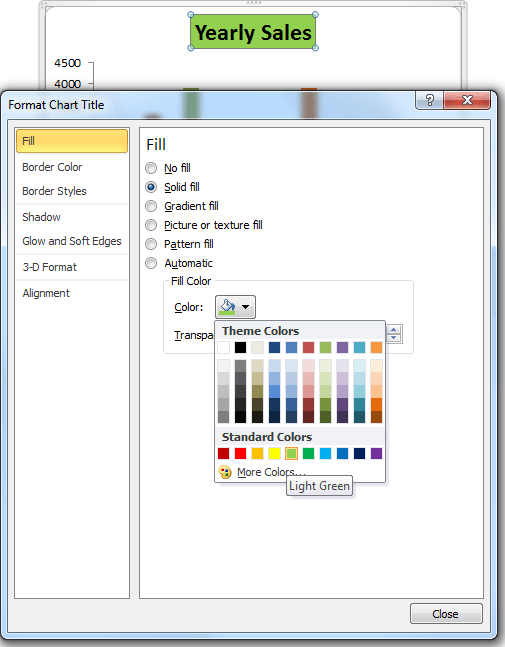 The default chart titles in Microsoft Excel 2003,2007,2010,2013 are plain and will not have any background colors. There are lot of tools and options available in Microsoft Excel. We see how to use the built-in tools to change the chart title properties. We can change the Alignment of the chart title in Excel,chart title background color in Excel, border style and color, chart title Font Styles in Excel, Chart title Font Color in Excel, Chart title Font Size in Excel,Make Chart title bold and underlined in Excel, Remove or Delete Chart Tiles in Excel. 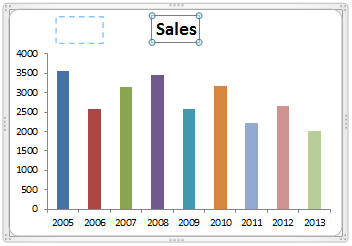 The easiest way to Format Chart Title in Excel is using formatting properties of chart title. We will see different examples in this topic to format the Chart Titles in Excel. 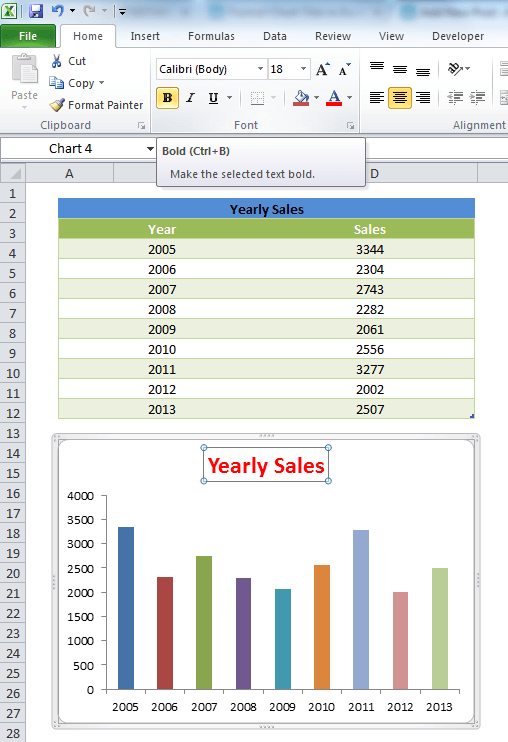 We can format chart title in excel by changing by align the chart title in the Excel charts. We can place the chart title any where in the chart title. We can place left corner of the chart, right corner of the chart, top of the chart or bottom of the chart. It is easy to change the chart title position in the Excel.We can select the Chart title and move the chart title to required position. The following tutorial will help you to align the chart title position in the Excel Charts. We can format chart title in excel by changing by changing the background color of the Chart title is very easy. We can use Chart formatting tools to change the fill color of the Excel Chart Titles. The following example will show you how to format the chart titles using Excel formatting tools for chart title. 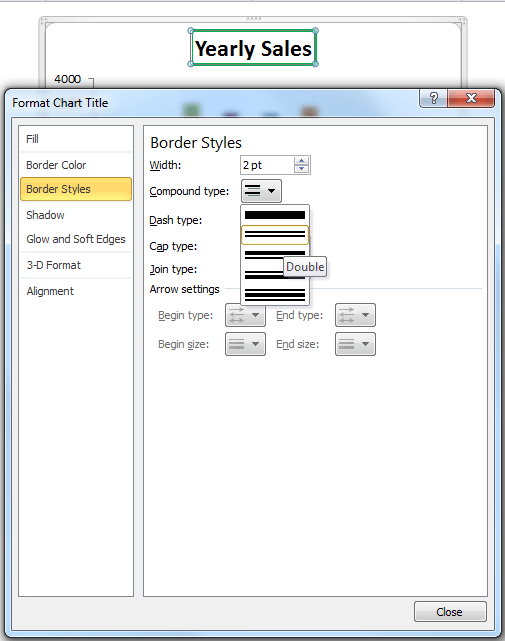 We can format chart title in excel by changing the border styles of chart title and border color. Chart title with border will looks great and you can set the border style and color as per the requirement or to match with the chart colors. The following quick tutorial will show you how to change the chart title font styles in Excel. We can change the chart title font styles in excel like font Size, Color, Bold, Underline in Excel. Your chart will looks great if change the chart styles in Microsoft Excel 2003,2007,2010,2013. Her we will see how to change or set the font styles.How to change the font size, font color, bold and underline in Excel. You can simply remove the Chart title by select the chart title and pressing the Delete key from the Keyboard. Hope this topic is given complete understanding of formatting the Chart titles in Excel. Please provide your feedback by commenting below.